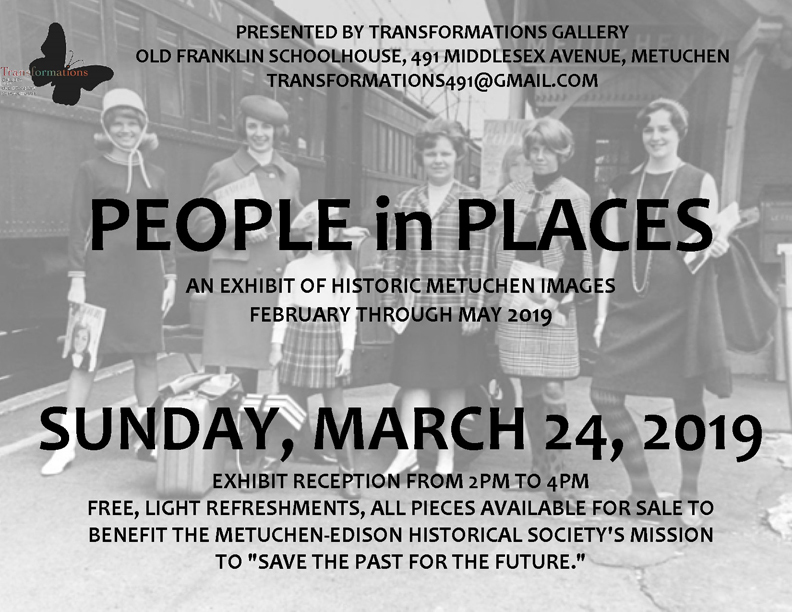 The current show hanging at Transformations Gallery at the Old Franklin Schoolhouse features photographs from the archives of the Metuchen- Edison Historical Society. Some were recently acquired and some have been there for decades, highlighting the fact that while the archives may hold images of the past, our knowledge and understanding of the past is always growing. What interests me the most is that behind each image is a story; the people that are captured at each moment in time were experiencing their lives in much the same way, around the same familiar places, that we do today. Looking at others sitting on the steps of a school that we may have sat on ourselves or hanging out at the Metuchen train station, dressed for a special occasion, connects us with them in a special way. There’s a great image of some men fooling around riding bikes and the look of joy on their faces is one I have seen on my friends’ faces when they are laughing and having a great time. There are images of children who look sad and a few of a football team who look so cool and confident it feels like they may have just walked off the field after winning the game. It’s easy to feel that the situations we are experiencing today and the feelings they create are new but they are only new to us. Looking back to see people in familiar places doing the things we all do reminds us that history runs through us all; that perspective grounds us in the human experience.